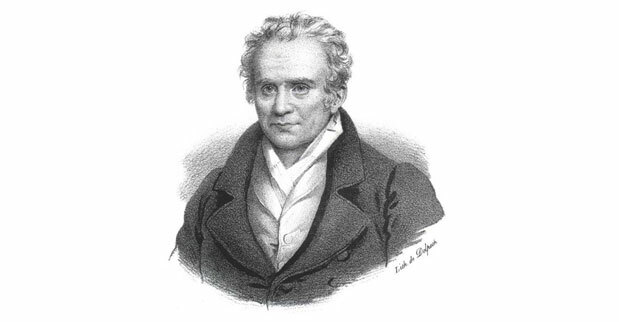 Gaspard Monge was a French mathematician, born 14th May 1746 in Beaune, France. He attended the College of Oratorians at Beaune and then in 1762 the Collège de la Trinité. His career took off with an early start when he was offered to teach at Collège de la Trinité at the age of only seventeen. In 1764, after he had completed his education, Monge showed great potential by drawing a plan for Beaune using innovative construction methods and the required instruments. This plan is still preserved in the town library. When a group of engineers saw Monge’s plan they were impressed and he was given the job as a draftsman in Ecole de Royale. Monge gained early fame by devising a plan for gun emplacements for a fortress. He substituted a certain geometrical process for the calculations that avoided the use of unwieldy techniques used at the time. This in turn led to his new development called descriptive geometry. It was so simple that the analysts of the plan thought there was some scam in the whole thing but after thoroughly examining it, they found it to be of immense value. Monge took the position of Professor in Ecole de Royale, Mezieres, in 1768 and continued to teach Physics and Mathematics there till 1783. He did enormous work in geometry and mechanics including fortifications to scaffolding and architecture in general. He got elected in French Académie Royale des Sciences in 1780 where he did a lot of research work and published many papers. By 1789, Monge had achieved the status of one of the best French Scientists. He was one of the initiators of the metric system in France. Mongue’s lectures on Infinitesimal geometry which he delivered in Ecole Polytechnique were printed out with the name ‘Application de l’analyse a la geometrie’. This helped build many engineering principles and works on 3-dimensional geometry. He published many other works during 1770 and 1790 namely ‘Memoirs of the Academy of Turin’, ‘Mémoires des savantes étrangers’ and ‘Sur la théorie des déblais et des remblais’. His other works includes ‘The Art of Manufacturing Cannon’ and ‘Géométrie descriptive. Leçons données aux écoles normales’. Mongue was also responsible for the creation of Institut d’Egypt in Cairo, Egypt. Along with his research work, Mongue was also involved in politics. He was the Grand Officer of the Legion of Honor in 1804 and President of the Senate in 1806. He was also made a Count in 1808. These responsibilities did take a lot of his time however he continued his work at Polytechnique and published his epic work ‘Application de l’analyse a la geometrie’ published in 1807. With the final defeat of Napoleon, Mongue had to flee from France, with all his medals and honors taken away from him. He returned to Paris in 1816 and spent the last days of his life there. He died on 28th July 1818; his remains transferred to Pantheon. Mongue is one of the 72 people whose name is inscribed on the Eiffel Tower.